As a Real Estate Broker for close to 20 years and having lived in Naples for 35 years I know all that our community has to offer, all the local secrets! 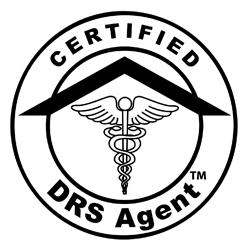 I am the ONLY Realtor in Naples to have the DRS certification. My experience in Real Estate and knowledge of Naples and surrounding areas (Bonita Springs, Estero & Ft. Myers) makes me a valuable asset to anyone considering relocation. I also specialize in working with medical professionals. My experience in this area led me to create a networking group for the spouses of Physicians. It is my goal to make Doctors and their families happy. I am more than a Realtor. I am a guide, a counselor, a concierge, and an information center all in one. Most importantly, I hope to be your friend! I want to make your family’s transition to the community I love enjoyable. 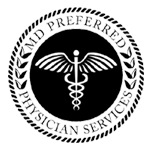 FOUNDER DOCTORS’ WIVES OF NAPLES - Having success as the founder of Naples Elite Networking Group with 4000 members, I wanted something specific to Doctors’ Wives. It is difficult to make friends, know who has the best fish sandwich, what restaurants are kid friendly, where is the best beach, find a babysitter, etc. when moving to a new area. This is even more of a struggle when your spouse has such a demanding schedule. We host events for children and adults. My vision for the group is to have seasoned spouses mentoring newbies and moral support for like-minded people in the same situation. LICENSED BROKER – In the past 20 years I have been involved in some of the largest real estate transactions in Collier County. Residential and commercial Real Estate, including the sale of land to a hospital. I worked as a Business Broker for 2 years. I can help with both the medical facility as well as the practice. MD PREFERRED SERVICE PROVIDER I am proud to be a member of this prestigious group. I also was chosen to sit on the Professional Standards Committee at our local Realtor board. I understand the importance of professionalism and integrity and I serve on this board as enforcement of standards of practice and ethics that are higher than those required by law. DRS CERTIFIED – I am the only Realtor in Naples to have completed the additional education required to attain this certification. 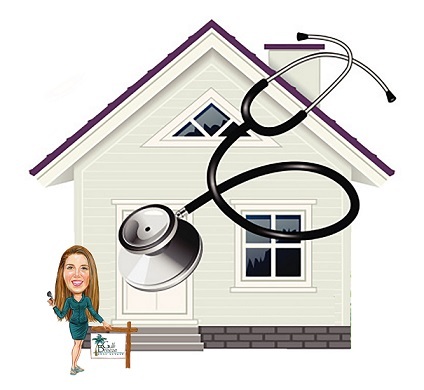 I understand the professional cycle of Doctors which helps me understand your current and long term needs in the Real Estate arena. I am also educated about Physician Loan programs saving you thousands of dollars. Some offer 100% financing, no mortgage insurance, and the debts of your student loans considered differently. This is a fantastic option for newly licensed Residents, Interns and Fellows. Experienced Doctors more than 10 years out of residency have options specific to them, as well. MANAGING BROKER - Not only is Real Estate a 7 day a week career, having agents that depend on me 24 hours a day gives me just a hint of how difficult your schedule must be. Like you, I am on call. Email, text or call me anytime! TEAM OF EXPERTS – My lenders, attorneys, builders, etc., are all handpicked and very knowledgeable. If I don’t know the answer, I know someone who does. Whether you are a graduating resident, looking to start your first practice, a practicing physician, or a healthcare professional looking to relocate, buy a medical facility or a practice I am here to help you. I promise to work with you one on one and handle the entire process for you.